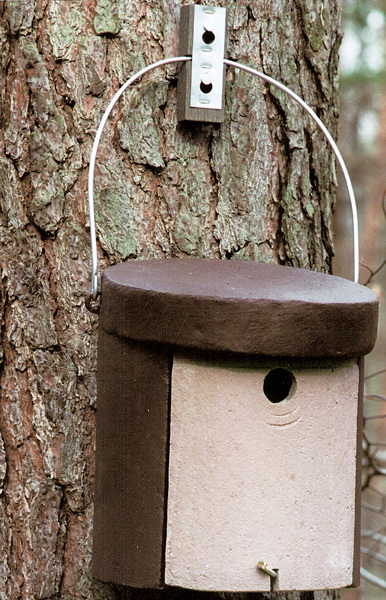 Nuthatches prefer to occupy larger boxes like the No. 4 and 5 Owl Boxes, because of their larger internal diameter, rather than alternatively available smaller nest boxes. 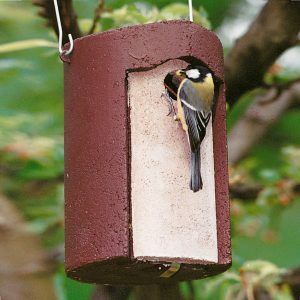 They fill the large entrance hole with clay and damp soil until it matches their required width of ∅ 32 mm, thus preventing larger Birds from gaining access. To overcome this, the 5KL has been designed specifically for this uniquely agile species. 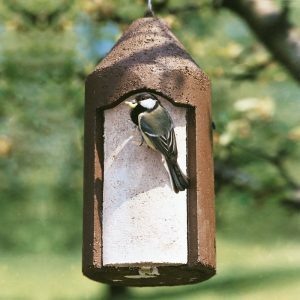 No sawdust or other similar material need to be placed inside because the Nuthatch, in common with all other small Birds, will construct its own nest. 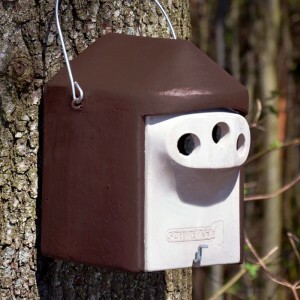 It is advisable to hang the Nuthatch Box 5KL in parks and forests in direct proximity to the Owl Boxes No. 4 + 5. 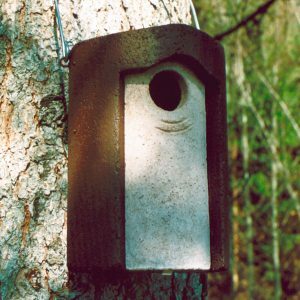 If there are no Owl Boxes available in the immediate vicinity, the oval Nest Box 2GR can be used as an alternative. 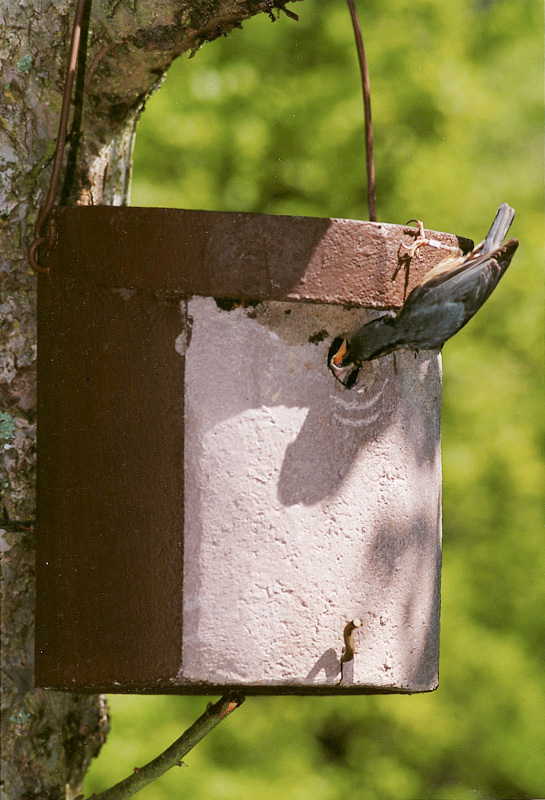 The Nuthatch usually occupies the larger available cavity. Litter (bedding) is not required. The Nuthatch builds its own nest from pieces of bark. As with all small Birds, it is not necessary to insert material. Shortened version of Owl Box No. 4 + 5 with modified entrance hole size. External dimensions: ∅ 25 x H 30 cm. Width of entrance hole: ∅ 32 mm. 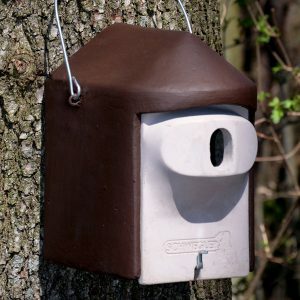 Includes: Nest box, hanger with mounting block and aluminium nails.